Mental Health: Is it important? Mental health is very important for everyone to make sure they are conscious of. I’m very passionate about keeping your mental health in balance, as I struggle daily with anxiety. Lately, mental health and the stigma’s surrounding it have been very present in social media. With the Canadian cellphone company Bell promoting mental health with the hashtag #BellLetsTalk, Demi Lovato promoting her mental health organization and much more, efforts around the world are coming together to show support for awareness of mental health. Mental health is a broad term which covers all sorts of mental disabilities and diseases. Ranging from anxiety and panic disorders to Bipolar disorder to eating disorders, many organizations are available to educate you about what you or a friend might be experiencing. I was first diagnosed with anxiety my freshman year of high school after a fainting and dehydration spell which led to numerous doctor’s visits. At first, it was suggested that I work with a therapist to talk out my emotions and learn coping mechanisms. Therapists are like a pair of shoes, you have to try them on and maybe break them in before deciding that they aren’t the right pair for you. The first woman I met with was not the one for me and did not offer me much help. After searching endlessly for someone else to help me and guide me, I finally found someone who could offer advice and help me cope with my feelings. Anxiety is different for everyone. My anxiety is both mental and physical. When I get anxious, my first sign is a sort of slow burning that creeps up my left wrist and into my hand. Next, my stomach goes crazy and lets just say I visit the bathroom more than I should. I also sometimes, depending on the severity of the anxiety and if it is a panic attack, cry. It’s hard to cope with physical signs of anxiety because it also takes a toll on your body. I have been diagnosed with Irritable Bowel Syndrome or IBS, which is a result of the overactive nerves in my digestive system and intestines due to the stress of my anxiety. Basically, I poop a lot more than the normal person, and suffer from severe stomach aches. Now, IBS is not fun and is not something I can deal with on my own. Because I asked for help, I am now on anxiety medication for both my anxiety and IBS. Anxiety prohibited me from participating in school activities, going to parties with my friends, and even just going out to the mall or out to eat. Anxiety increased my distorted self image and kept me from believing in myself. I chose to stay at home on Friday and Saturday nights, closed up in my room because I was anxious or had a stomach ache from IBS. I DO NOT want you to feel the way I did. If you are struggling with yourself, please please please talk to someone. So many resources are available. Message me, comment on this post or email me and I can help you if you need. Honestly, getting help for my anxiety is the BEST thing I have ever done. My mom told me the other day that she “had her little Abbey back” because I had been so swallowed up by anxiety for the past year. She tells me that she sees such a difference thanks to the medicine and I’m proud to say that I feel so much better. Please take this seriously, as mental health is just as important as physical health. I struggle daily, but I am proud to say that I have not given up. Let’s end the stigmas against mental illness and stop treating it like it doesn’t exist. January has felt like such a LONG month! Around this time of year, my life gets very hectic due to sports, school concerts, and exams. But, I have tried out all sorts of new products due to the holiday season and I’m very excited to share some of my favorites! During the winter, my skin gets SUPER dry, I mean, to the point where it’s itchy and irritated. This is due to the chlorine in the pool which I spend every afternoon in for at least two hours. Going from a warm pool area to negative degree weather outside doesn’t work wonders on the skin, so these are a few of my favorite products to help heal my face and body. I purchased this product in the tube because I feel like it’s less of a mess, (just a personal preference), and I absolutely love it. I needed a good moisturizer for night time, (which is when I use it) but you could totally use it under makeup. It’s light enough to use in the morning, and it sinks into the skin quickly, immediately leaving your skin with a soft and silky feeling. This stuff smells AMAZING!! My mom got this for me for the holidays and I used it after every shower/bath I take. It leaves the skin feeling very smooth and smelling sooooo good. I’m not a huge florally fan, so I usually stick to vanillas because they aren’t overpowering. The smell lingers for a while too. I usually use it at night and I still smell like vanilla in the morning. I love this bath melt so much oh my god. It smells like vanilla (Ooo wow) and it also leaves the skin feeling very soft. It creates great bubbles and when they dissolve, it leaves the bath with a silver/grey color. The scent definitely lingers and paired with the Madagascar Vanilla body butter, it’s a vanilla extravaganza. I love boyfriend jeans and I really love this pair. They DON’T have rips in them, making them the perfect winter pair. Most of my other pairs of boyfriend jeans have rips, and the weather doesn’t compliment naked knees. I bought my pair a size down because they’re supposed to be loose anyway, and they were more flattering with a smaller waist size. This scarf. This scarf is so warm and cozy I cannot articulate how I feel about it. It’s a nice pink color to contrast my entirely black and white wardrobe, and it keeps my neck warm in the subzero climate of New England. I love Converse. They’re comfortable, classic and quality. I have a pair of white high top Chucks and another white pair of low top All Stars. I absolutely love them and I had wanted a pair of black monochrome low tops for a while, but never brought myself to buying them. My amazing mother bought them for me for the holidays and I adore them. They go great with boyfriend jeans and a flannel, or even a skater skirt and a sweater. Costco sells guac in little tiny 100 calorie cups, perfect for lunches. I enjoy my guac with baby carrots, a healthier alternative to chips. If you really want chips, you can go for blue corn chips, as they tend to be higher in vitamins due to their color. Also available at Costco, this salad packs superfoods into a convenient mix. Featuring kale and brussel sprouts, the salad comes with dried cranberries and pumpkin seeds, as well as dressing. The dressing IS full fat, so please tread lightly when using it, and bear in mind that the cranberries and seeds are for the entire salad, not just one serving!! Coconut Oil: Could It Actually Change Your Life? I know, I know, every grocery store is now promoting coconut waters, flours, milks and anything else you can squeeze out of a coconut. BUT, coconut oil is truly worth the hype surrounding it. It can be used to cook, of course, instead of butter or vegetable oils, but it can also be used on the outside of your body. Yes, it sounds weird. Putting oil on your body. Here are a few of the treatments I use often to help keep my skin and hair looking soft and shiny. Run the coconut oil in the jar under warm water to melt it into a liquid. Pour it out onto your hands and work into the skin. You will look like a raccoon, which is how you know it’s working. Take a warm wash cloth and wipe the oil off. You should be left with clean skin! This method is both cheaper and cleaner for you and the environment than pricy cleansing oils or cleansing balms. The oil will also help to moisturize your skin, especially in the winter time, when you need it most. Again, melt the oil into a liquid. After using a cleanser, apply to the face instead of a moisturizer. It should look shiny and will sink into the skin. Sleep with the oil on your beautiful face. In the morning, wash off with a cleanser. It should leave your skin feeling soft and shiny, without clogging your pores. I love using this during the winter, as my skin is basically the Sahara Desert, and it helps to replenish the moisture without causing a breakout. This is also really great to use after exfoliating. Winter is a rough time on your hair too. I bring the oil into the shower with me, and rinse my hair. I wash my body and shave if I need to, allowing the steam to melt the oil. Apply the oil to your hair, making sure it doesn’t wash out. Tie it up into a bun with a hair tie, and step out of the shower. Leave in for about an hour. Get back in and wash the oil out with regular shampoo. Apply conditioner, as usual, if desired. After the shower, it’s important to moisturize while your pores are open, so your skin absorbs the product easier. Melt the oil under warm water and apply to your skin. I use it on my legs and arms, focusing on rough spots like my knees and elbows. The oil should almost rub in all of the way, leaving a slight shine on the skin. I really love using coconut oil, and I recommend it to those with sensitive skin, dry skin, and those who are allergic to fragrance. I’m sure you’ve heard about the “clean eating craze”. It’s full of kale, spinach, chia seeds and hemp hearts. Clean eating focuses on eating for sustainable energy. Most recipes leave out sweeteners/sugars, wheat products, and processed foods. I love clean eating, as it provides a good source of fuel for long days and intense workouts. Below are some of my favorite recipes for clean eating, which can be eaten at any time of day. Instructions: Mash up the banana to smooth consistency, or blend in your blender. Add eggs in, mix until completely combined, or blend until frothy-ish. 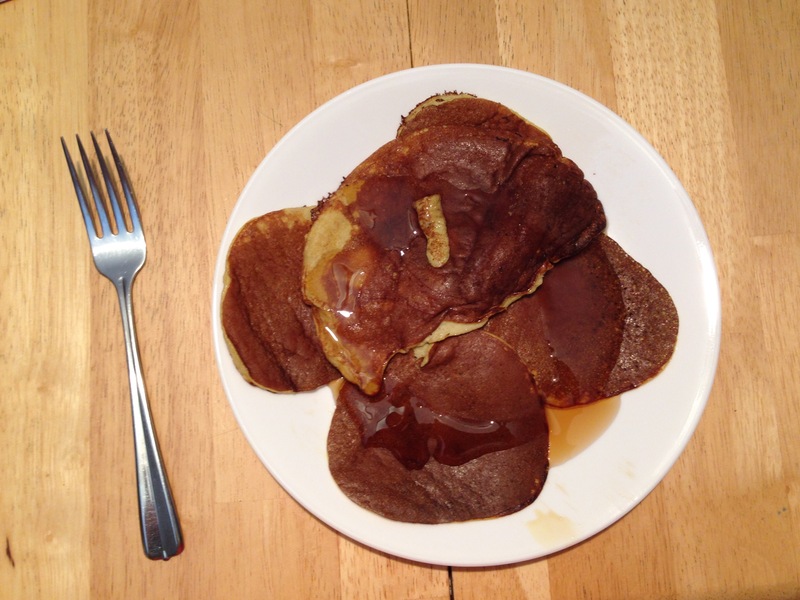 There should be bubbles in the batter, which help the pancake to rise. Set a pan to medium heat and spray with non-cook spray. Pour a pancake size amount of the batter into the pan and cook like a pancake. Be careful and keep an eye on the pan, as they are more apt to burn than a regular pancake. Also be careful when flipping, as they tend to fall apart if you use a sharp spatula. Garnish with fresh berries and a small drizzle of maple syrup. Freeze the banana, making sure you feel it before you put it in the freezer. Once it’s frozen, place it in the blender and blend until it looks sort of like a paste. It will have a consistency of a slightly melted cup of ice cream. Scoop into a bowl and enjoy! Instructions: Measure out two tablespoons of chia seeds and pour into a bowl or jar. Pour in enough almond/plant milk to saturate the mixture. The seeds should be floating on top. Cover with plastic wrap and place in the fridge overnight. Next, take your berries and either mash them up or create a puree. In the morning, take out your chia seed mixture. The seeds should have absorbed the liquid, leaving a rice pudding type of consistency. Layer your berry puree with the pudding mixture to create a beautiful and satisfying treat packed with fiber and vitamins. I hope you try some of these recipes, and let me know if you would like to see more! As it is the beginning of the year, I want to provide healthy ways to improve yourself, whether that be by improving your physical health or your mental health, or both. My resolution is to give you a blog post each week, therefore 52 posts, all about health, beauty, and self care. This week, I was introduced to a blog post that really changed my perspective on what this year is about. 2015 is going to be my year. This being said, I need to make changes to the way I view my life, and how I go about my daily routine. This blog post that I’m going to share with you changed my view. It spoke to me on an unexplainable level. I identify with every single bullet point this post makes, and for me, it has changed my year so far. I read this post before I go to bed every day, and keep screen shots of it on my phone. Sometimes, if I need a pick me up, I will take out this post and read it. I want to help you grow with me. Please leave me any comments you have regarding this post. I would love to hear what you think of it. My next post is going to be about my favorites of the month, stay tuned to discover new products and some of my favorites. Also, if you would like me to post about my favorite “clean eating” recipes, like this post and leave me a comment letting me know your favorite foods, and I’ll try my best to give recipes a “clean” version !! Welcome to 2015!! This year is going to be full of new and exciting adventures for everyone. Did you know that 51% of Americans make New Year’s Resolutions and only 8% of them make their goals? I want you to be one of those 8%, and I thought that sharing my story with you might motivate a new and healthier you in 2015. I’ve always struggled with my weight. At age 10, I was told that I was overweight. I was sent to a pediatric nutritionist, who told me that I was eating well, and no changes were made. I went for monthly weight checks and feared the scale. My self esteem dropped to an all time low and I hated looking at myself in the mirror. Freshman year I decided I needed a change. I quit swimming competitively two years prior to my entrance into high school and I realized I needed that back in my life. I joined the swim team freshman year and even though I wasn’t (and still am not) the best swimmer on the team, I loved the atmosphere and the people. Without trying, I lost about 10 pounds. When swim season ended, I knew that I wanted to continue playing some sort of sport for my school. The problem was, I didn’t play lacrosse or softball and I definitely didn’t run track. I heard a friend say that she was going to play on a ultimate frisbee and I decided I would give it a try. I started off as the worst runner on the team, but I was dedicated to attaining a better status as a runner. I would stay after practice and run sprints with one of the captains and on weekends I would run around my neighborhood, starting at a mile and eventually working up to three. I had lost about another 5 pounds. Sophomore year came and I continued to swim. I also started looking into different ways to healthily lose weight and found that cutting out processed carbs like bread and pasta would work. I started focusing on eating veggies and fruits as well as proteins. Ultimate season came around again and by the end of both sports, I had lost about another 12 pounds combined. And now, junior year, I am swimming once again. My goal now is to keep my weight stable and eat as healthily as possible. In 2 1/2 years, I went from a size 10/11, 157lbs to a size 4, 125lbs. It took patience and dedication, but I did it. I still struggle to see my accomplishment, but in time, I will start to feel comfortable with who I am and feel confident in my own skin. My method of eating works for me. This is not to say that everyone should eat just like I do. Find what works best for you. I’ve found without wheat-based carbs, I have more energy, and generally feel less bloated. But, do whatever works for you. You can do it. Make 2015 the year of YOU!!! Work hard and stay positive. 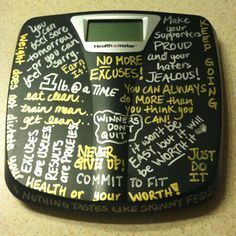 Don’t focus on the number on the scale, but how you feel in your body. If you start to eat better and exercise, you will feel good and weight loss is just an added bonus. If you have any questions or concerns, be sure to leave a comment for me!! As the New Year approaches, New Year’s resolutions begin to be thought out. The most common resolution we all gravitate towards is to “lose weight”. Gyms and fitness centers will be buzzing with new members on January 1, who will try to accomplish their goals of “losing weight” in a few weeks. That is unrealistic. As a teenager, I’ve struggled with weight issues for a while. It was until a few years ago that I thought losing weight was impossible. I would try for a few weeks and give up. But what I didn’t realize is “losing weight” isn’t only about shedding the pounds, but changing the way you live to accommodate a healthy lifestyle. Dieting will not get the results you desire. You need to change your eating habits and make time for exercise in order to obtain your goal. I found myself changing the way I eat, along with increased exercise and now, three years later, I’ve lost more than thirty pounds and I feel better than I ever have. The following are a few tips and tricks to get you started for the new year. 1. Resist the urge to eat “out”. Eating the majority of your meals at home will save you money, as well as give you control over what you are eating. 2. Make half your plate fruits and veggies. Your body metabolizes simple carbs like fruits and veggies easier, giving you more energy without the gross feeling after eating snack foods, such as potato chips and pretzels. 3. Be sure you are getting enough protein. Many people think that you need to be vegetarian or vegan to be considered healthy. That is a matter of preference, but as an omnivore that humans naturally are, be sure you are eating a serving of protein with each meal. This can consist of a six ounce cup of Greek yogurt, a palm size hand full of almonds, a chicken breast, or even a serving of fish. Whenever possible, try to get lean meats such as turkey and chicken, 90% lean beef, and lean cuts of pork. 4. Make time to exercise. “I don’t have time” is not an excuse you are allowed to use. Use exercise time as relaxation time. A nice brisk walk in your local park or a swim in the community pool are relaxing activities everyone can do. If you can, a membership to a gym or fitness club is always a good option. Use the time there to catch up on your favorite TV show through the Netflix app on your phone or read a book while you ride the bike. ((I watch Sleepy Hollow and Dancing With The Stars on the elliptical)). Make exercise fun too. Play games with the kids you babysit or join a sport at school. ((I’m on the swim team, and it’s the best exercise I can get)) Sports are a social and physical activity and can make each day better. 4. Allow yourself time. Losing weight and getting fit don’t happen over night. You need to commit to your goal and keep working towards it, because it is attainable. It took me three years, and I lost weight in a healthy way. Losing weight too quickly, especially through crash dieting, can lead to gaining it back quickly. No one wants to waste all of the time and effort that goes into losing weight. 5. Set an attainable goal. Start with losing 3 pounds. Once you reach the goal, you can reward yourself. Maybe buy that pair of shoes that you’ve wanted. Do not use food as a reward. Food is to fuel your body, not to reward yourself. 6. Start slowly. It’s hard to quit eating what you want cold turkey. Try replacing your favorites with healthier options. Instead of potato chips, grab a handful of grapes or carrots. Make small switches and eventually you will have made a transition to a healthier you. I hope you find this helpful! Just remember that 2015 is a chance for you to become the person you want to be. Don’t give up on your goal. More to come, including recipes and workout tips, along with helpful beauty tips and DIYs!